Today, wire transfers and P2P (person to person) payments are regularly made between individuals. On the international market these are referred to as remittances, where relatives living abroad wire money to family and friends in their home country. There was a surge in 2016 from $429 billion to $466 billion in 2017. This inflow of currency ends up contributing to a country’s GDP (gross domestic product) by being circulated into the local economy. In 2017 the top five remittance countries were Kyrgyzstan (35%), Tonga (33%), Tajikistan (31%), Haiti (29%) and Nepal (29%). Although most MoneyGram transactions are legitimate, remittance or MoneyGram scams do exist since there is an inherent risk in making online transactions. We’ll discuss what these are and how to avoid them. The two major international wire transfer companies are MoneyGram International and Western Union. For a fee, the sender can wire a set amount to an individual in their home country (the fee averages 15 – 20% of the amount sent. This is how wire transfer services generate revenue). MoneyGram provides an 8-digit reference number and Western Union, a 10-digit reference number or Money Transfer Control Number (MTCN). For security, the recipient cannot receive the transfer without the MTCN and their identification. Since the MTCN is used for tracking and processing the remittance, there are still loopholes and scams which exist because there is such high inflow and outflow of currency across countries. A MoneyGram transaction is treated as cash and cannot be cancelled or refunded once it is sent. It is then considered to be in the hands of the receiver. It’s good sense to use a credit card and to sign up for email notifications to confirm the receiver has in fact picked up the transfer. If you are using a payment transfer service within the US it is best to use PayPal or Venmo, which are more secure and data encrypted. Like any US-based business operating internationally, MoneyGram has to remain in compliance to deter the transfer of currency used for illegal purposes such as money-laundering, bribes, terrorist financing, or scams. A common MoneyGram scam is through online dating (also referred to as the romance scam). Although meeting and connecting with people has become common through social media, be cautious of individuals you meet online. They can lure victims in slowly, over time, with promises of devotion and marriage. Once your guard is down, the scammer will ask for money to visit or for a sudden family emergency. Once the money is wired, the scammer then disappears. Lottery scams usually are sent via email with a subject header that may read You Hit The Jackpot! or You’re a Winner!, but you have to wire a MoneyGram fee to receive your winnings. Logically this makes no sense and is even more absurd if you never purchased a lottery ticket in the first place. Most spam filters catch these before they make it to your inbox, but if you do come across one, do not open the message or click any links. If making a wire transfer online, use a secure browser such as Chrome or Firefox. If you wire friends and family abroad regularly, set-up a MoneyGram account. Always use a credit card (not a bank account) for wire transfers. This provides an additional layer of fraud protection. Do not exceed an amount over $500.00 in a single transaction. Do not wire to friends of friends or an unknown third-party abroad. Only send to the direct recipient. Do not use MoneyGram as a payment service for utilities, down payments. rent, or mortgage. Such payments should only be processed directly through your bank or credit union. If engaged in online dating, be cautious of suitors who do not have a webcam (only a profile picture), profess their love too quickly, then introduce their desire to visit if you send cash for travel. 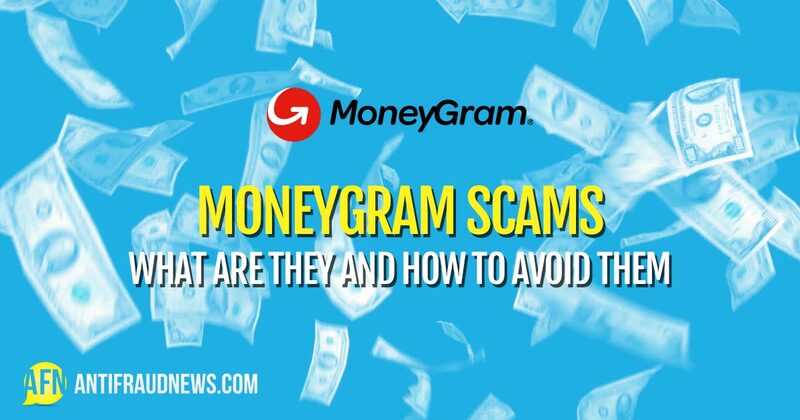 MoneyGram is a useful and helpful service, which can assist friends and family abroad, but it should be used and managed carefully to avoid being the victim of common scams.